The one part of being a follower of Christ that I did not realize when I accepted Him as my personal Savior was the part of “the fellowship of His sufferings”. I had never even heard that terminology. My personality is such that I feel things very deeply and even the thought of someone’s suffering causes me to hurt inside. So, being a part of “the fellowship of Christ’s sufferings” is the part of this Christian life that I would run from. “God may call me at some time in my life, as He may call you at some time in yours, to play the role of the needy Christ. Would you if He did? Would I? Honestly, I want to be like Christ. But honestly, I want to be like the Christ who turned the water into wine, not the Christ who thirsted on a cross. I want to be the clothed Christ, not the One whose garment was stripped and gambled away. I want to be the Christ who fed the five thousand, not the One who hungered for forty days in the wilderness. I want to be the free Christ, walking through wheat fields with His disciples, not the imprisoned Christ who was deserted by them. Though I would never have chosen it, I was playing the role of the needy Christ starting from the day my husband was given a terminal diagnosis. For four and a half years it was in the form of what I know now was anticipatory grief that was thrown into full blown grief when Bob went to heaven. Through it all I have gained a better understanding of not only the broken heart of Christ, but also the love that Christ has for me. 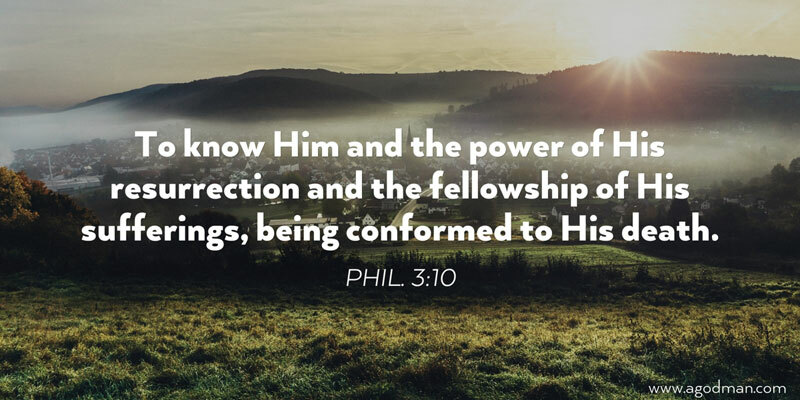 In all the years of my life aside from the time that I accepted Christ as my Savior, it has been difficult for me to separate myself from others in the world and become an individual in the eyes of Christ. Picturing myself standing alone with Christ having a direct, intimate conversation was not something that I was able to imagine. But, when I was singled out for “an assignment” and as I lay on the floor of my bedroom praying for my very ill husband, it became very easy for me to see myself alone at the feet of Jesus. I was the needy one and He was the only one who could truly understand that and help me. My personal relationship with Christ has changed from that relationship with Him that began when I was a nine year old girl. Growth hurts and hurt is not something that I would ever knowingly choose, but it is a part of the process of really getting to KNOW God. Is it easy? No. It’s very hard. Hurt forces us to focus on the only One who understand and can help us. It drives us to Him who is standing there waiting for us with open arms. Christ longs for us to run to Him so that we can be caught up into His embrace and comforted as no one else could ever comfort us.